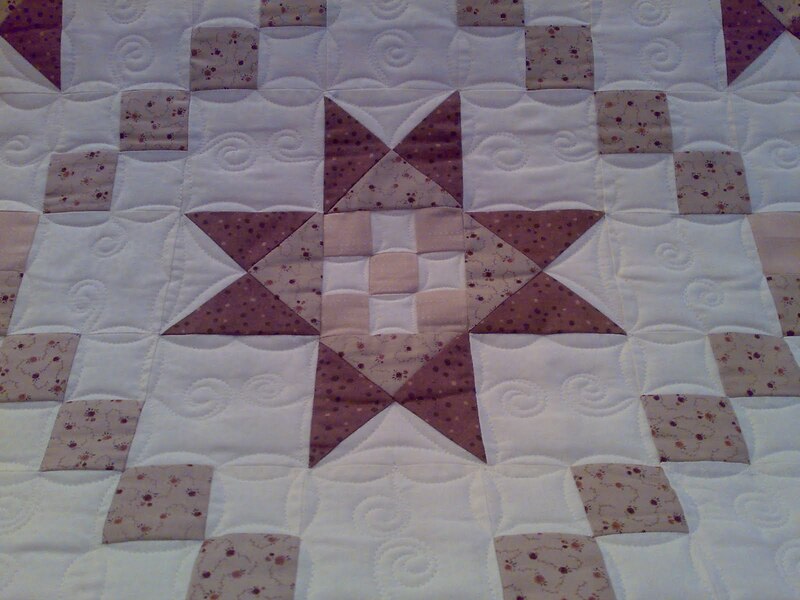 When ill everything takes longer, even quilting. 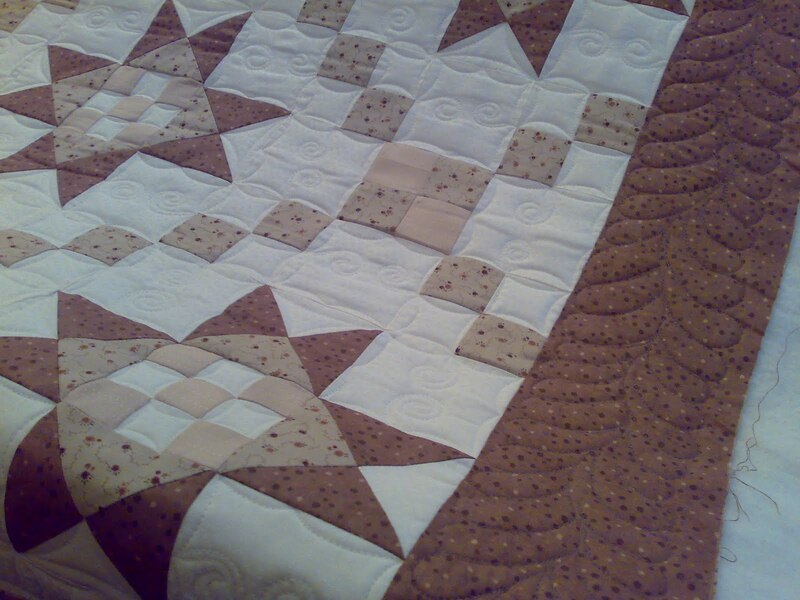 Why am I quilting when I feel ill? Well you might have noticed the date, Christmas is coming and my queue is full so I have to get a certain amount done every day no matter how I feel. I have been picking out the simpler projects though. 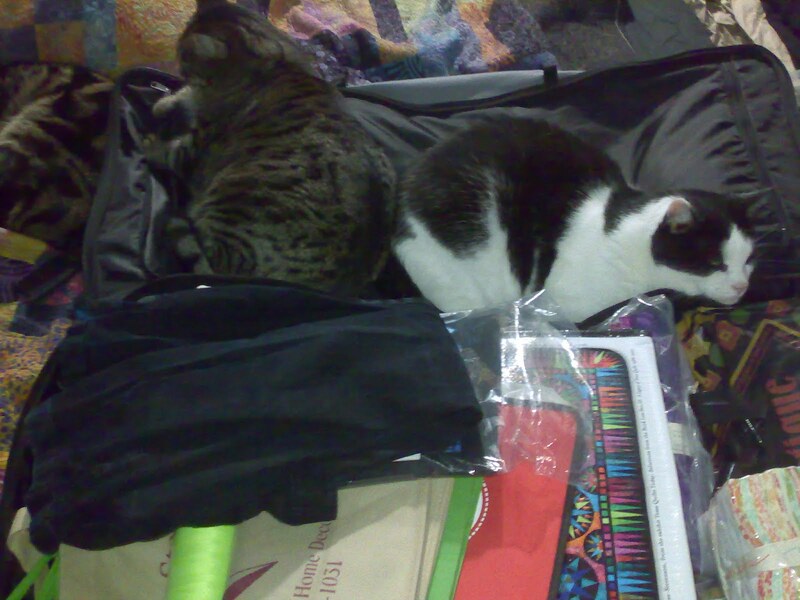 There is no[chance of me doing complex work right now. Even this quilt took at least 4 times as long as it should have done, but it's finished now and hopefully can head home this week. 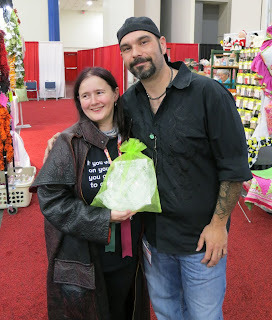 I was going to post some more pictures from the Houston quilt show, but actually I'm not in the mood. So here are some pictures from Florida instead. 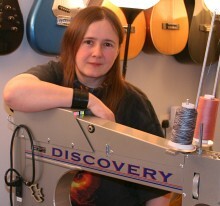 However, to keep my quilting fans happy lets start with some quilting. Some really really famous quilting. I hope at least some of you guessed what the quilting in question might be on, given my background and the location :) All these panels are quilted. We got to see some samples in the VAB which showed the stitching much better but you can see it fairly well here. As you can see she isn't the easiest thing to get a picture of, you just can't get back far enough, but Tet did his best. For me this has to be the ultimate patchwork quilt. It's a serious working quilt, although the colour scheme isn't the most imaginative I've seen. We were very lucky to see Atlantis. There was just one week where they were allowing sneak peeks before she is built into a 'proper' display. Personally I would much rather see her grubby and on very functional stands. It suits who and what she is. I hope they don't tart her up too much. This is one of the launch pads used for shuttle launches. The gravel tracks you can see leading up to it are the roadway used by the crawler that carries the platform and whatever is being launched to the platform. I do mean both tracks are one road. the crawler has huge tracks and straddles the grass between the gravel. We got even luckier on our visit. There is a platform on the pad and a crawler under it. Our guide said the crawler had just had a complete refurbishment and new engines so we were guessing it had come out here as a test run. Whatever the reason, I've always had a soft spot for the crawlers so it was great to see one. From this angle you can see the fire trench and the massive water tower which dumps water at the base of a shuttle launch just before the engines fire. The water is there to damp (literally) the sound waves which would otherwise damage the orbiter. It's a neat and very clever solution to a potentially huge problem. I don't know how much I am going to be able to say. The laptop thinks I have 20 minutes battery, so if I have to stop suddenly you will know what happened. I've been looking through my photos from Houston and they seem to fall mostly into two groups, amazing quilting and medallion quilts. I guess that says something about my interests doesn't it. I also notice that the quilts that really appealed to me often didn't get the big ribbons. I have far more pictures of non winning quilts than winners (well until I sent Tet to get a picture of every competition quilt for me :). As ever you can click on the images for a bigger picture and the last image of each set is the description bard for the quilt. This quilt grabbed me from the other end of it's aisle. In person it glows with sunlight, and you just can't wait to get a better look at the rocks. The pictures don't do it justice, but it did at least win an award. These pictures were taken during market which is before the awards are announced. Do look at the close-ups there is so much detail in this quilt. Eeeep battery warning. Better type faster. This quilt is all about the quilting for me. Maybe that's wrong, but just take a look at it. I think we have 8 or 9 detail pictures of this one, there is just so much in it. Please read the blurb the artists wrote I am going to get this uploaded quick. I really should be going and getting some dinner but Tet has fallen asleep so I will try and do this instead. Be warned, I've been repeating myself for several days now and I'm tired so I may not make a lot of sense. I also haven't edited the images so they are huge. They should look good if you click on them to enlarge them though. I am also hoping you will be able to read the signs (and that I have put up the right ones for the quilts). The first picture tonight is a random building in Houston :) Well not that random, it's the one we can see from the lift and we both rather like it. I like the whole Houston skyline actually and I think it may well become a quilt at some point. I know we have more pictures of it, but asleep person has the camera so I guess you'll have to wait for that. This quilt is hanging next door but one to my quilt. That's a mixed blessing. I get to look at it a lot, which is great, but it is way too good and I'd rather is was further away from my quilt. It is called 'Adventure Awaits' and was quilted by Sue McCarty, it is stunning. The detail on it is just fantastic. How this quilt didn't get in the top 3 is just beyond me. If something this amazing only gets honourable mention I can totally understand how I didn't place. I have so many pictures of this quilt because every time I look at it I see another feature I love. I think that these gates are probably my favourite part of the quilt, but I reserve the right to change my mind. This quilt was one of the awards that really pleased me at the winners circle. 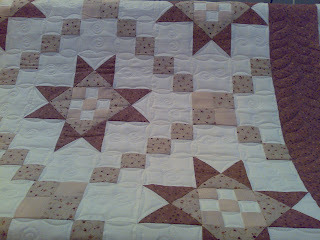 It's not a big quilt and it's in a category with a lot of far larger pieces but it holds it's own very well. The photograph doesn't capture the amazing glow this quilt has. The fabrics have been chosen to capture the light hitting this tree. If I could take a show quilt home with me it would probably be this one, because not only do I love it but it's small enough I could hang it too. 'The Leprechaun's Tree' by Robin M. Haller. Another award winner that I was pleased to see was 'Departure' by Kiyomi Takayanagi (I hope I got all those letters right). This quilt ticks all my boxes. I love the colour, the shading, the piecing and the quilting. I do find Japanese quilts very intimidating, the workmanship is amazing. One day I will be brave enough to try submitting one of my quilts to a Japanese show, but I'm not sure I'm quite there yet. Between market and festival there is a two day break, where the visitors need to entertain themselves and the stall holders panic. We decided to give the Downtown Aquarium a try. It's not a huge place but it does let you pet rays so I was happy. The best display of rays though is in the restaurant. They are quite distracting which I thought was great. I love the way they fly in the water. 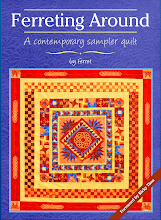 I guess I now need to try a quilt of one as we have loads of pictures. Although the quilt festival opened today last night was preview night and IQA members could get into the show from 5pm-10pm. I obviously had to take advantage of this to meet people and to shop. In doing so I discovered the show has a naughty corner. You know you've found it when you hit the Innova longarm booth. I've not worked out if they are in the corner or just out of it, I suspect it depends on who you talk to and when, but everything beyond them is certainly in the corner. To one side you find Akonye Kenya, who sell lots of fabrics beads and other objects sourced from Africa. He hasn't managed to sell me anything yet, having limited space makes you a lot pickier, but he has some lovely fabrics. However, I don't think I will ever forget him, and those of you who know me well know that has to bode :) He wears a kilt which would give him a fair chance of being remembered but his wicked sense of humour guarantees it. Never ever leave a computer guided longarm unattended with him around, really, just don't. To the other side the two bad boy longarmers are lurking. I thought it would be nice to show you a picture of the two of them with their new products (which I may have had to buy :) but the more observant of you will see I only caught one of them. Their handlers are threatening to put shock collars on them so they can be kept closer to the stands in future. Dusty didn't run fast enough so we have a picture of him and the bag of goodies. In this bag you get a set of his rulers and the DVD to go with them. He assures me it makes him look really clever. I don't find that too hard to believe. Of course what I really want is the new book he is working on. He stitched out a couple of things from it and they look great. Why is it I always want the thing I can't have? If you are at the show there is a special offer of the 5 rulers and the DVD for $105. They are booth number, 162 Country Stitchin. Failing that they do have a web site, www.cscountrystitchin.com where you can order the rulers, but I think it's going to cost more. As most of you know I don't do a lot with rulers. I do however sometimes want to be able to repeat a curve. I liked the look of these partly for the wide range of curves you get but they also look like they will be easy shapes to handle. They aren't huge either so they should play nicely on the smaller frame. I suppose if I was really keen I could watch the DVD while I am here and see if Innova would let me play with my rulers on their machines, but then again that might just be the step too far. I am already getting though their fabric and thread at an alarming rate. Maybe I will leave the DVD safe in it's shrink wrap until I get home.